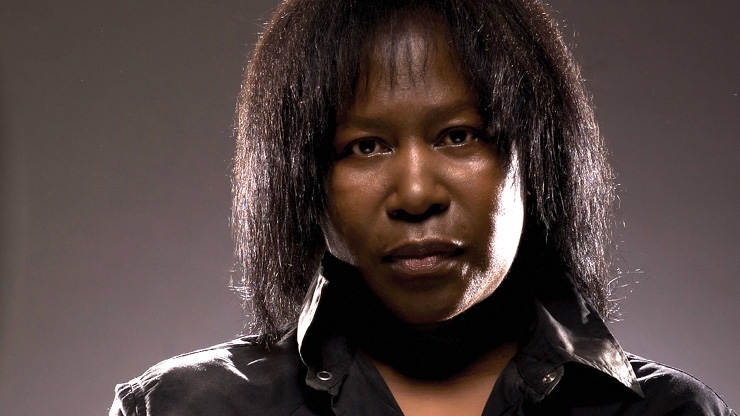 Three times Grammy-nominated, Brit Award nominee and Ivor Novello winner singer-songwriter Joan Armatrading MBE will be supported by local artist Rag’n’Bone Man (aka Rory Graham) at her Brighton Dome show in November. The 27-year old Brighton-based artist was selected by Armatrading to play a 15-minute opening slot following a nationwide search in 2011 for local acts to play at each of her UK and Irish tour dates. The search, via www.LocalTalent-UK.com, resulted in hundreds of regional up-and-coming singer-songwriters vying for the chance to appear on stage. “My girlfriend put me up for it. She did it without telling me and put forward my YouTube videos and a couple of tracks that I’d recorded… the videos were actually me playing guitar and singing on the toilet!” explains Graham. Armatrading has supported local talent throughout her 40 year-long career. Her tours around the world have often featured a local artist on the bill, and unsurprisingly Rag’n’Bone Man – who is also a part-time rapper with Brighton hip hop collective Rum Committee – is looking forward to taking to the Brighton Dome Concert Hall stage on Monday 12 November. “It’s the biggest gig I’ve ever done. I’m nervous, but at the same time, really excited,” he says. The show coincides with the release of Rag’n’Bones Man EP Bluestown, which can be pre-ordered at http://ragnboneman.bandcamp.com or bought on the night. One of his songs will also appear on a special three-CD package comprised of tracks submitted by each of the 56 chosen local artists who will support Armatrading across her UK and Irish tour dates. Recognised as one of the world’s leading singer, songwriter and guitarists with 20 stunning albums to her credit, Joan Armatrading's subtle and sublime music has touched millions of people all over the world. Known as a true craftsman, her distinctive vocals and consummate musicianship (she has arranged and played every instrument, with the exception of drums, on the last three albums) have led to unanimous, widespread and - perhaps most importantly - consistent critical acclaim. Effortlessly eclectic, her sound has ranged from jazz to true soul to sophisticated pop driven by her passionate guitar. The line-up is completed by Chris Wood (BBC Radio 2 Folk Awards Singer of The Year 2011), described by The Guardian as ‘the finest and most original singer-songwriter to have emerged from the British folk scene since Richard Thompson’.